Kale, a cruciferous vegetable, is one of the healthiest vegetables around. Enjoy this bright green veggie as part of a nutritious meal! Wash the kale thoroughly and remove any tough stems. Cut or tear the leaves into small pieces. Set aside. Heat the water in a large skillet. Add the garlic and cook and stir over medium-high heat for about 1 minute, until it begins to soften. Do not let the garlic brown. Lower the heat to medium and stir in the kale. Sprinkle with the soy sauce, if using. Cover and cook for 3 to 5 minutes, stirring frequently. Add extra water, 1 tablespoon at a time, if the kale begins to stick. The kale is done when it is bright green and tender. 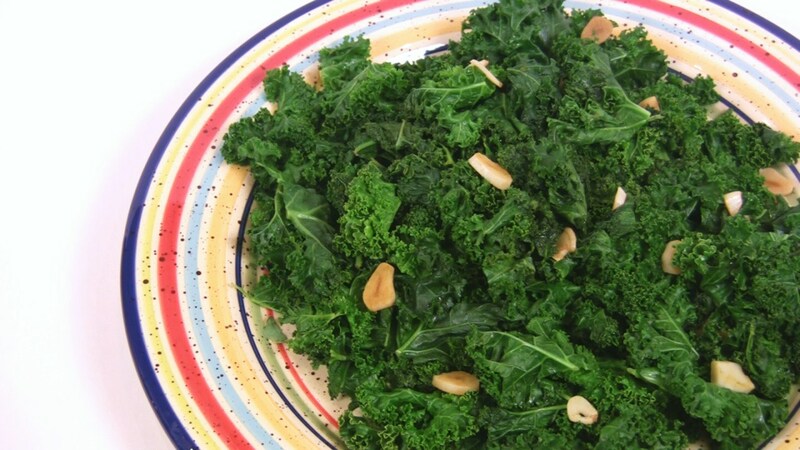 If you are using salt instead of soy sauce, transfer the kale to a serving dish, sprinkle it with the salt, and toss to mix. Serve at once. Stored in a covered container in the refrigerator, leftover Braised Kale will keep for up to 2 days. For a gluten-free dish, use salt in place of soy sauce.